Yesterday on April 9th, 2015 Eduardo Dellaviginia attempted to leap out from between two cars headed east out of Penn Station, resulting in a train accident. The 35 year old man had previously received citations for “fraudulent accosting” — also known as panhandling. According to CBS, the man was suspected of asking commuters onboard the train for money, and intended to exit the train before it left Penn Station. Having missing the opportunity to exit before the doors closed, Dellavignia went between the trains to jump before the locomotive picked up speed. 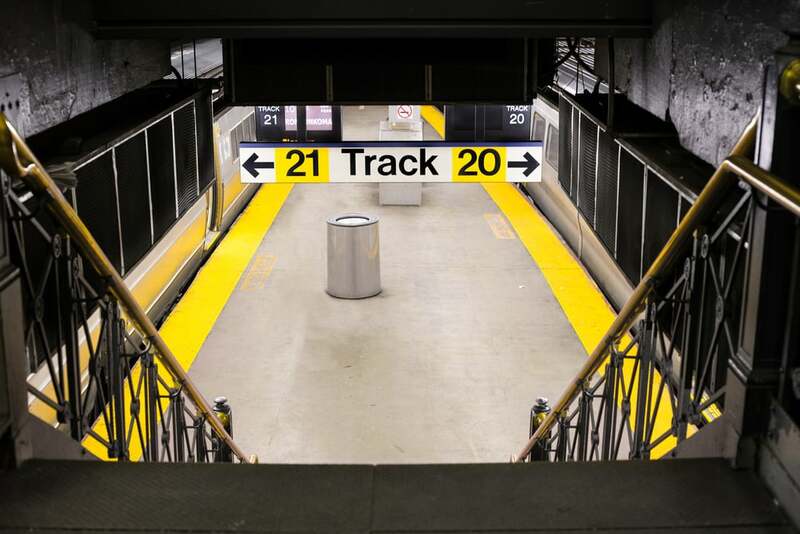 At 12:45, the Long Island Rail Road (LIRR) tweeted that commuters should expect delays. 12 minutes later, it added that service between Penn Station and major hub Jamaica Station was suspended. Information began to trickle out to commuters through the Gothamist and other media outlets, including a tweet from NYCScanner that reported a man (Eduardo Dellavignia) had been struck and pinned by a commuter train. As the afternoon wore on, the transit authority LIRR continued cancelling trains well into the middle of the Thursday evening rush hour. Traffic began to be restored after 6 pm on select lines, although even then many were severely delayed. While it seems that the person most responsible for this unfortunate situation was Dellavignia himself, it is not uncommon for individuals to become victims of transportation authorities across the country. If you should find yourself injured or lose a loved one due to a train accident or you think a transportation authority near you has been negligent, you owe it to yourself to get in touch with the best Personal Injury Lawyer New York has to offer you. The best ones will care about you and your family as though they were part of your family. The train accident occurred just prior to rush hour.